Day 27: Goodbye tubies, Goodbye prednisone! Tomorrow is Scarlett’s last day of induction. I have so many mixed emotions. Part of me is ecstatic that we survived the first and, we’ve been told, the hardest part! Part of me is terrified of what is to come. And part of me is sad that we are going through another change. I’m so excited to have made it through this first part of Scarlett’s journey still strong and energized. Yes we are tired – physically and emotionally. But we are still going strong. Scarlett is cranky and hungry but she is still “healthy” (besides the cancer of course). She has been such a trooper and is trying so hard. There are moments during the day when she is her normal self. She plays with her favorite toys or gets that bright shiny smile on her face and you would barely know that anything is different. But it just lasts a moment. We only have two doses of prednisone left and then hopefully she will be a little happier. Although maybe I’m just kidding myself! Tomorrow is a big busy day. She will get labs first and, depending on the results, maybe blood or platelets. Then comes her physical. Then her physical with the anesthesiologist. Next she will go to radiology to have her PICC line removed and her port placed. After that she will have her bone marrow drawn, her lumbar puncture and chemo. All of this with NO FOOD!!! It’s gonna be a loooong day! This is the bone marrow that matters. These results will determine the next year of our lives. It will be sent to Seattle where they will determine the number of leukemia cells, the type, do genetic testing and numerous other tests. I have no idea how long this will take. Maybe we will get a week “off”. This wait and the unknown scares me. I hate not knowing if we will have appointments every week, every 2 weeks, how many more procedures she will have…I hate surprises. I know that this is going to sound ridiculous but I am a little sad that her tubies will be removed tomorrow. She has been so good with them. She can almost flush them all by herself. She has named them and given them voices. She actually kind of has fun with them. I’m afraid for her to get her port. It looks so big for such a little girl. The doctors will make a little pocket in her chest and insert the port under her skin. It will be tender and bruised for about a week but then it should be easier. She can take baths again. Maybe swim. 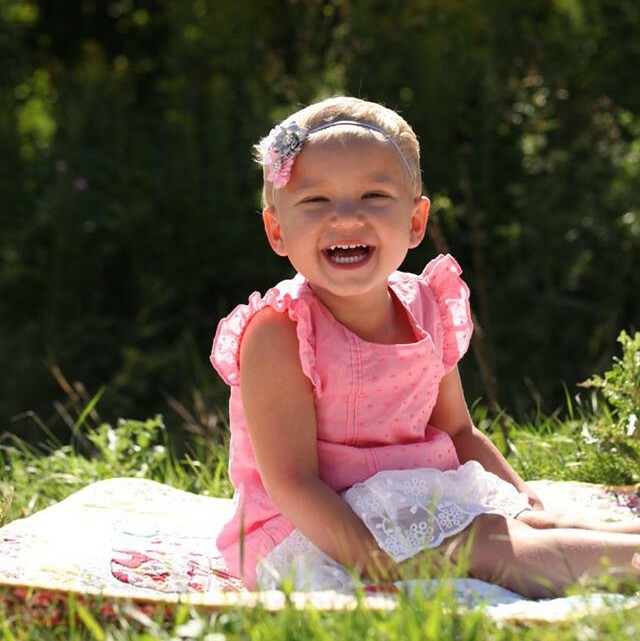 When she needs chemo, the doctors just numb the area and place a needle into it. I just hate for her to go through anything else.